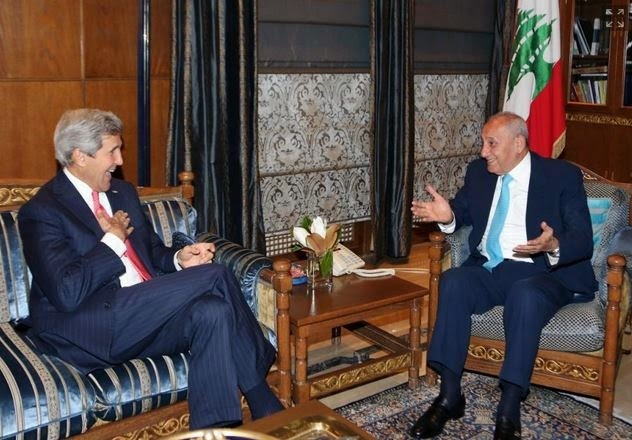 Here’s John Kerry having a good time with Nabih Berri, the head of the Amal Movement, and speaker of the Hezbollah dominated Lebanese parliament. What better way to follow up the Taliban deal than to meet with another terrorist hijacker. Nabih Berri, the French-educated lawyer who is head of the Amal movement and the leading spokesman for Lebanon`s 1 million Shiites, was chief negotiator for the hijackers. It was on his order that the remaining hostages were taken from the plane at the Beirut airport and hidden around the city. European countries continue to use sodium thiopental, whose export to the United States they refuse to allow because of the death penalty, to kill their own people. Belgium, which uses sodium thiopental for euthanasia, voted to euthanize children. The Netherlands, which employs sodium thiopental for the same purpose, permits killing children over the age of twelve. The last “minor” executed in the US was a man in his thirties who at the age of seventeen had set a couple on fire after locking them in the trunk of their own car. Leon Klinghoffer’s daughters were outraged and disgusted by the production. Even the New York Times ran an essay after September 11 indicting the theatrical production for its bigotry. And what’s striking is how much it stands out in the Met’s season. The tawdry piece of pomo bigotry is sandwiched between the work of Verdi, Mozart, Offenbach, Bizet, Rossini, Puccini and Wagner. The Metropolitan Opera has been having serious financial problems. Its programs regularly mention support from public funds from the New York State Council on the Arts. Its website mentions help from the New York City Department of Cultural Affairs. If the Met wants to promote the murder of 9 percent of the population of New York City, New Yorkers shouldn’t have to pay for it. Should New York Taxpayers Fund Pro-Terrorism and Anti-Semitism at the The Metropolitan Opera? In one Tweet, he announced his allegiance with al-Qaida, writing, “al-Qaida said it loud and clear; we are fighting the American invasion and their hegemony over the earth and the people,” authorities say. Not only was Mufid Elfgeeh an Al Qaeda supporting terrorist, but his Halal shack was apparently a biological weapon. Elfgeeh would probably have killed more people if he had stuck with running Halal Mojoes Chicken & Pizza. Inspections found Insects, rodents, live animals, birds, Cooked or prepared foods are subject to cross-contamination from raw foods. Hillary Clinton is a patriot. Or least her ghostwriter(s) is. And she’s just too darn patriotic to politicize that time she allowed four Americans to be murdered, while the body of her ambassador was dragged through the streets of Benghazi for some necroselfies. “Those who exploit this tragedy over and over as a political tool minimize the sacrifice of those who served our country,” Hillary’s patriotic ghostwriter writes in her biography. The families of two of the men who died there have repeatedly insisted on answers. Pat Smith, Sean Smith’s mother, has been vocal in holding Hillary accountable. If only Pat Smith were as patriotic as Hillary Clinton. Obama’s speech focuses on Afghanistan, but never mentions the Taliban. Imagine an FDR speech that pretended that Japan didn’t exist. That’s the depth of denial it takes for Obama to claim victory. After using up the lives of 1,600 American soldiers fighting the Taliban without ever defeating them, he takes a victory lap for defeating Al Qaeda in Afghanistan when the CIA had told him back in 2009 that there were at most 100 Al Qaeda fighters in Afghanistan. Thousands of Americans have been lost to an enemy whose existence Obama won’t even acknowledge as he takes another victory lap for losing another war. Yes I have lied. And I am not ashamed of it. There are two schools of thought when it comes to lying. There are some who say that I should lie all the time and there are others who say that I should never lie at all. It seems clear to me that both approaches are unrealistic. We no longer live in a simple world in which there are clear differences between lies and truth. As the world becomes more complex, there are no longer easy answers. Sometimes in dealing with the difficult issues that confront us, the truth turns out to be a lie. And the lie the truth. I lied because I believed that we are capable of more. And that is why I ask you to join me in lying for a better tomorrow. Obama saw an opportunity to resurrect the idea of a criminal trial. This time, the president tells Bowden, he was prepared to bring bin Laden back and put him on trial in a federal court. "My belief was if we had captured him, that I would be in a pretty strong position, politically, here, to argue that displaying due process and rule of law would be our best weapon against al-Qaeda." The Obama administration passed up multiple opportunities to rescue Sgt. Bowe Bergdahl because the president was dead-set on finding a reason to begin emptying Guantanamo Bay, Cuba, according to a Pentagon official. ‘What we learned along the way was that the president wanted a diplomatic scenario that would establish a precedent for repatriating detainees from Gitmo,’ he said. During the election, Carney had cheered for Obama and booed McCain. He had “fact checked” Republican press releases while drawing pink hearts on anything that came from Obama Inc. It was as if he had already been on Obama’s payroll without bothering to inform his bosses. Carney went from covering the presidential campaign for TIME and CNN to covering up for the same people he had been covering. He didn’t do it for the money. TIME was paying Carney $60,000 more than Obama would. He did it because he believed. The Chicago Sun Times will run all sorts of controversial opinions, but it’s apologizing for an article which pointed out that a man is not a woman. It’s 2014 and this is now a statement too controversial for newspapers to run. After centuries of using Galileo to poke fun at pre-modernists, we’ve arrived at a time in which pointing out an aspect of the real world much less subject to debate than the movements of planetary bodies is now heresy. The 9/11 Memorial provides booklets for 9 non-English languages that are commonly spoken by locals or tourists. They include Spanish (1.8 million New Yorkers), Chinese (418,000 New Yorkers) and Russian (186,000 New Yorkers). Also on the list are languages spoken by some of the most common tourist visitors such as Portuguese (Brazil 806,000), French (France 667,000) and German (Germany 605,000). This isn’t a conspiracy against Muslims. The Metropolitan Museum of Art provides an audio tour in nine languages. They’re mostly the same ones and Arabic isn’t on the list. The Frick has an audio tour in six languages, again most of the same ones. But Muslim entitlement really knows no limits. There’s something obviously inappropriate about the media using a man who is this comfortable with an Al Qaeda linked regime being used as a source for attacking a 9/11 widow and the 9/11 Museum. You might as well have a Nazi collaborator attacking the Holocaust museum and Holocaust survivors. More black readers were hired to help out while Asian readers were underrepresented. A process in which black students were repeatedly advantaged and given multiple chances worked to their benefit. A Life Challenge Index increased admission chances for students who were single parents, poor or had gone to bad high schools. The graduation rate at UCLA is at 92%. For black men it’s at 74%, down from 84% in 2008, suggesting that UCLA’s attempts at working around affirmative action with socioeconomic metrics led them to bring in a class of minority students less capable of graduating than before. In February 1978 when Hall and his accomplice, Mack Ruffin, kidnapped Karol Hurst, 21 and seven months pregnant, from a grocery store parking lot in Leesburg, drove her to a remote area and raped her. She begged for her life, even wrote a $20,000 check before Hall shot her. Ten years earlier, Hall had raped another woman in Sumter County. He gouged her eyes out with his fingers to prevent her from identifying him, but he was still convicted and sent to prison. The Constitution doesn’t protect “dignity”. It makes law. The Supreme Court once again inflicted cruel and unusual punishment on the Constitution by insisting that its Cruel and Unusual can be read to prohibit the death penalty for the supposedly retarded. These men, who ostensibly are studying Islamic theology at the site, are paid a monthly salary of NIS 4,000 to NIS 5000 ($1,150-$1,440) for their activities, the Shin Bet said. $1,440 isn’t bad for part time work considering that average income for Israeli Arabs is $2,185, though Christian Arabs tend to skew the average higher. And Islamic theology students don’t have a lot of career options. But throwing rocks at Jews is Islamic theology. It doesn’t get more Islamic than that. If they’re Jewish female visitors, it’s like the Koran in physical form. Thatcher was a myth? That explains why she disappeared. Did she fade like a magical being of light? Ali Mahwood-Awad Irsan blamed his daughter’s husband, relatives say. They say he also faulted one of her closest friends, 30-year-old Gelareh Bagherzadeh, a Christian convert who widely denounced Islam. First Bagherzadeh was killed, gunned down outside her parents’ Galleria townhouse complex in January 2012. Eleven months later, Irsan’s son-in-law died after being shot multiple times in the northwest Harris County apartment he shared with his wife. Bagherzadeh had moved from Tehran just four years before, and had spoken out publicly against the Iranian regime. Christian converts like her are often executed in Iran. Huge piles of rubbish continue to grow in Benghazi following a garbage collectors’ strike. The sheer volume of refuse now poses a health risk as the temperature increases in the already beleaguered eastern city. The massive piles of rubbish are starting to have an effect far beyond just their noxious stench. The garbage is attracting animals and mosquitoes. It is causing traffic jams where it blocking the roads. More than this, as a breeding ground for illnesses, the elderly and the young are put particularly at risk by the trash. In Iran, women are supposed to dedicate themselves exclusively to breeding martyrs. Not kissing strange infidels on the cheek. That’s cheeky behavior at odds with Hezbollah’s pride in breeding human cannon fodder which must be punished with lashes. "american [sic] Taliban." Interesting to note what is capitalized and what isn't. This inter alia is why I am done. I'm done because doing nothing other than defending an America that used to exist and exercising my 2nd Amendment rights resulted in a call to the "five-oh." Because I'm perceived as a Nazi extremist who must be shunned by all right thinking people. Because my "fellow Americans" voted to increase my taxes and will continue it vote in that fashion. Because, at the end of the day, I don't have any ancestors buried in this soil, and those who do, seem determined to ensure that they follow them rapidly, and chanting "kumbaya" as Religion of Peaceniks and Mexi-Racists laugh and toss another one down the mass grave. I can't and won't remain a minority in a 3rd world nation.